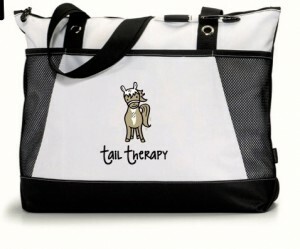 Totes | Tail Therapy | Who needs retail therapy when you have 'Tail Therapy'? Coming soon to our Amazon store — Tote Bags with Ollie the Horse! Coming Soon featuring Ollie the Horse — Tote Bags!